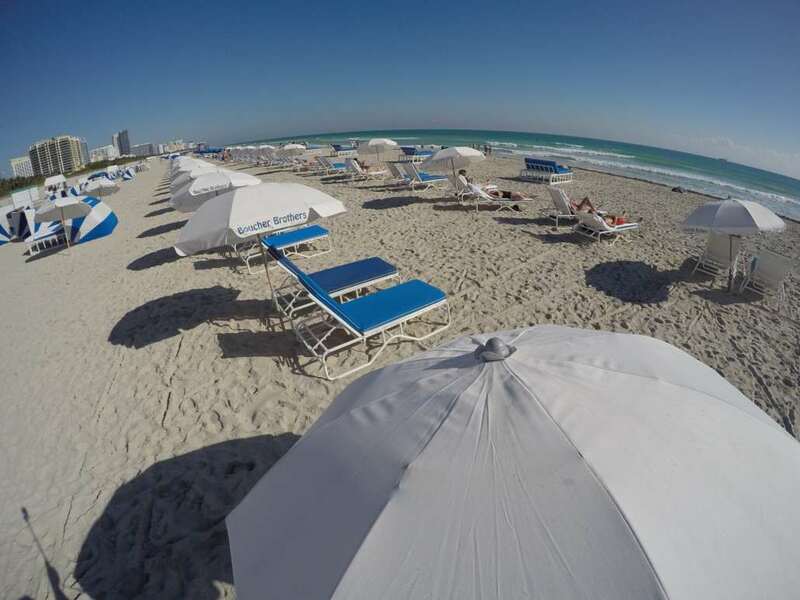 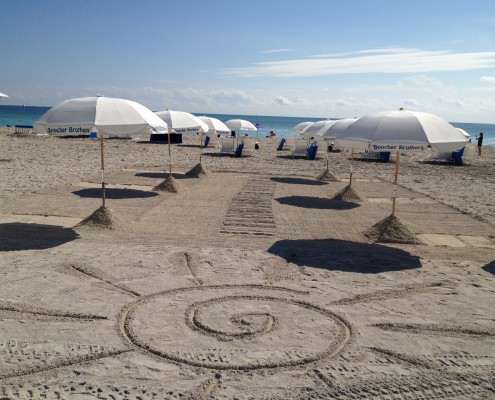 As far as your eyes can see the sparkling white sandy beach is bathed by warm aquamarine waves year-round and is covered by the Boucher Brothers staff waiting to assist you. 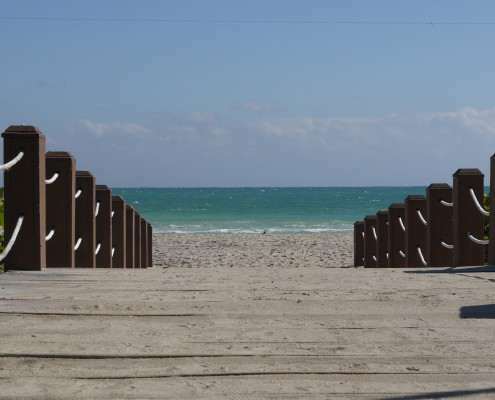 Miami Beach area is adorned with funky Art Deco lifeguard stands, which make for great photo opportunities. 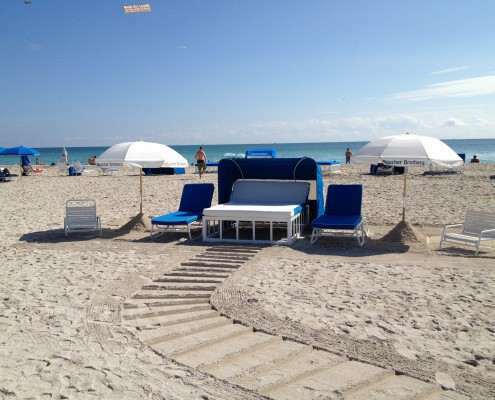 Often seen on this beach are model photo shoots, pop stars filming music videos, and visitors from all around the world. 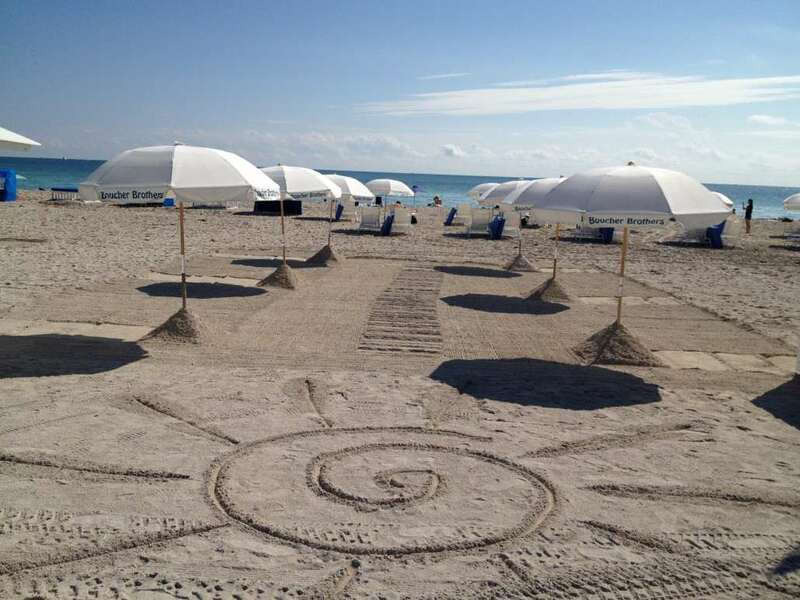 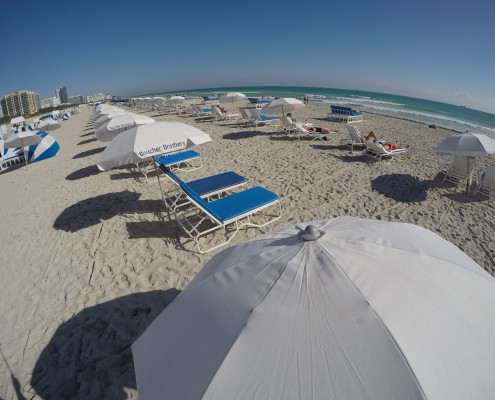 You can go for a water sport adventure, stretch out on a chaise lounge and bask in the sun or relax under the shade of an umbrella; either way is the best way to enjoy all that this great beach has to offer. 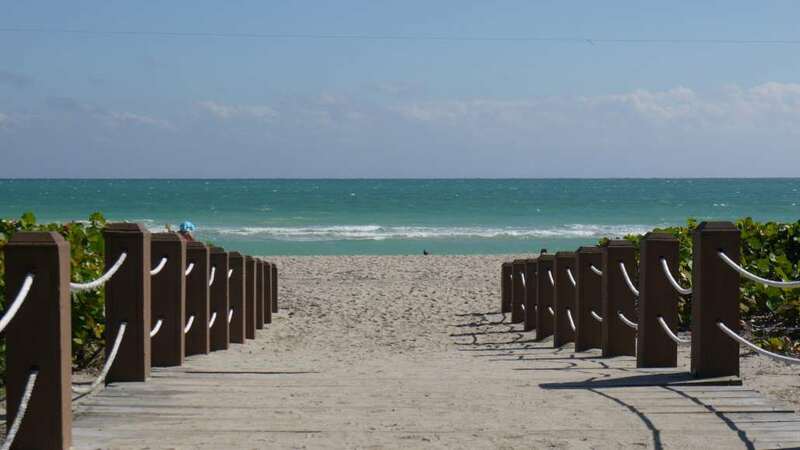 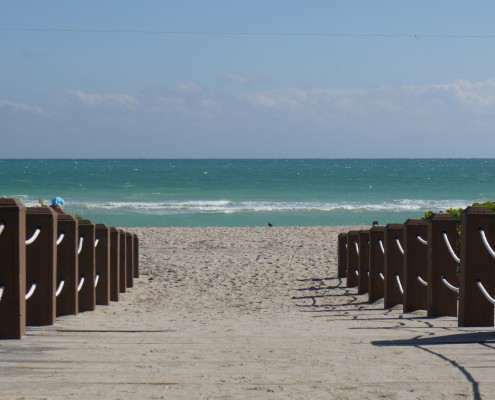 This is a very popular beach that stretches from about 6th street to 14th street and offers a gentle surf and white sand perfect for volleyball games. 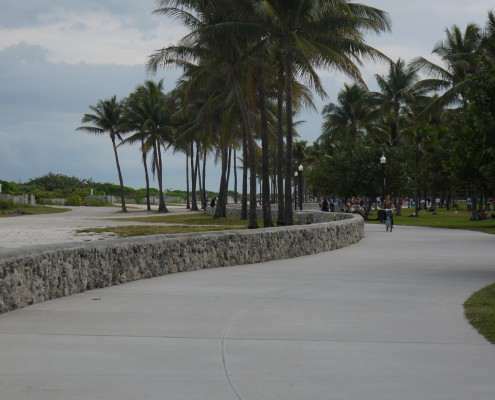 A concrete walkway runs most of the length of the beach and is popular with joggers, strollers and inline skaters. 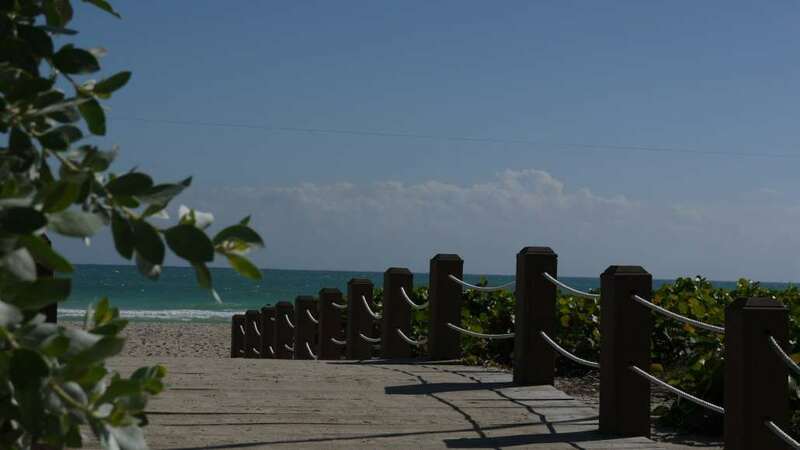 Within this stretch you can also find a children’s playground, shaded grass area perfect for a picnic and volleyball nets and water sport rentals. 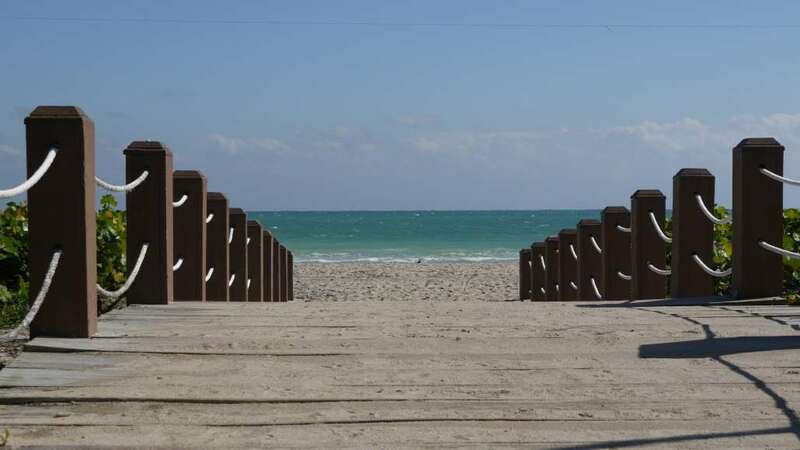 The beach between 12th and 13th street is designated by rainbow flags for alternative lifestyle locals and visitors. 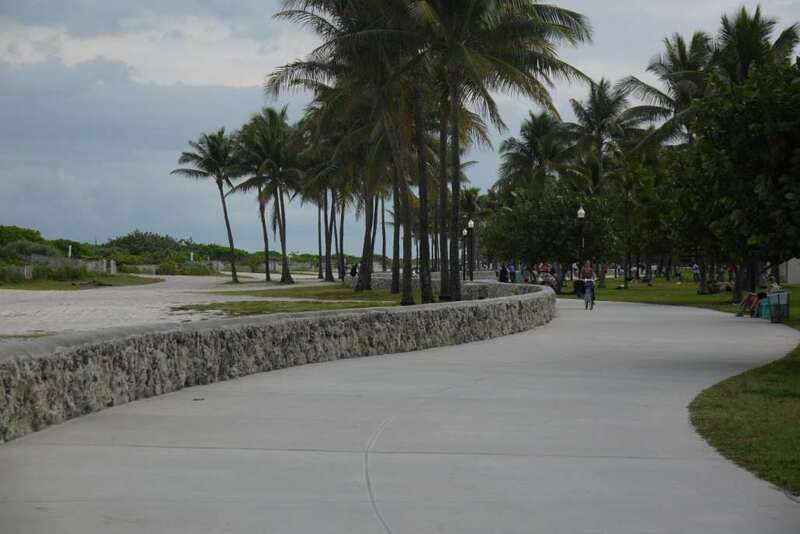 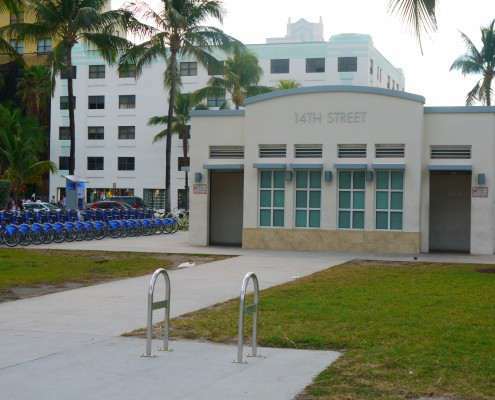 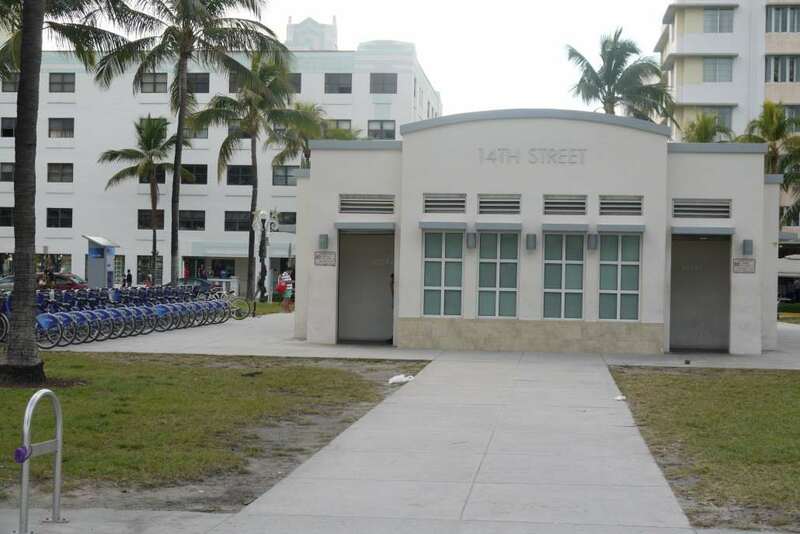 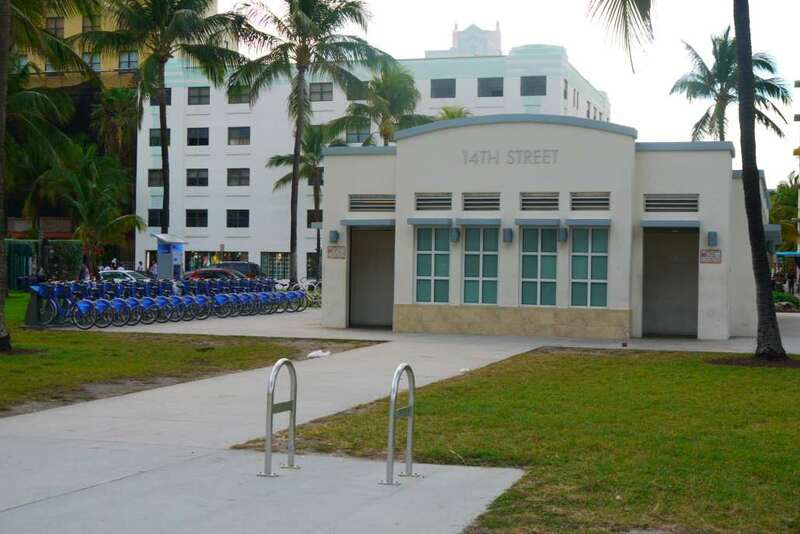 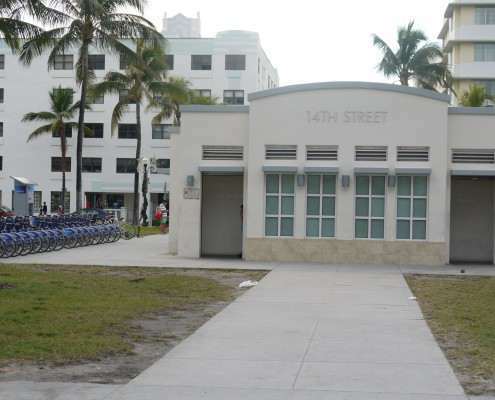 This is the area from 73rd to 75th street and it is usually frequented by families looking to get away for some quality time in a park with the convenience of having the beach just a few feet away. 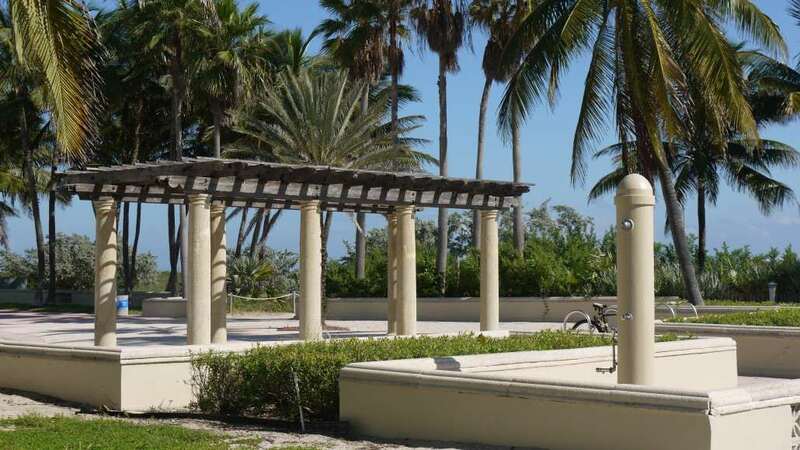 The park features picnic and barbecue areas and plenty of palm trees to hang your hammock from; it’s no wonder why this spot has become a local family favorite. 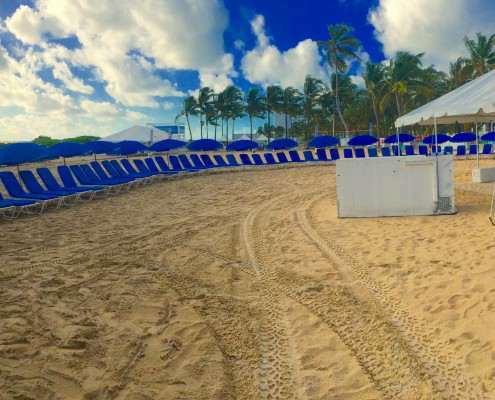 This beach area is at the island’s southern tip and is family friendly with a swimming beach and a playground for the kids. 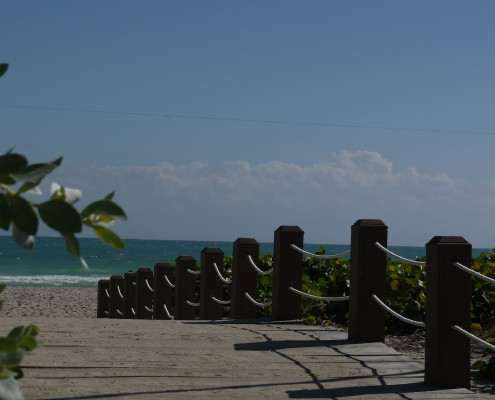 Here you will also find a fishing pier.